Stadtreinigung Hamburg (SRH) is the largest and leading service provider of waste management and cleaning in the Hanseatic city of Hamburg. 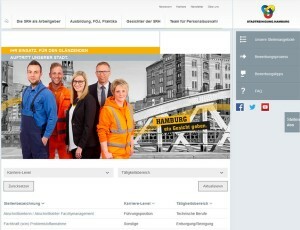 Most of the 3,000 employees work in Hamburg daily to keep the city clean, whilst many others work in the background to smoothly manage and organize the operation. rexx Recruitment was selected to provide a professional application management system for SRH. Intelligent functionality, such as the contact management module, enables an efficient and above all, purposeful application and selection process. For example, the Works council is also involved early in the recruitment process via the "Works Council" module. With the Data Warehouse, a flexible evaluation of all data including diagrams is possible at the touch of a button. Jörn Lamprecht and Jörgen Winkler, project managers at Stadtreinigung Hamburg were particularly impressed by the modular structure and the smooth interaction of all rexx Recruitment modules: "rexx Enterprise Recruitment already offers many functions that are important to us, but also the possibility of expanding the system at any time, when new requirements are needed. " In addition, SRH also praised the professional customer service they receive from rexx systems. Communication always run smoothly and customer requests were quickly processed to completion. The training provided by the rexx consultants was just as professional: knowledge was conveyed clearly and questions could be answered quickly and satisfactorily. Last but not least, all timelines were complied with and the project was implemented quickly and on time. And because of this great experience, SRH is planning the addition of rexx systems’ HR and Talent management. 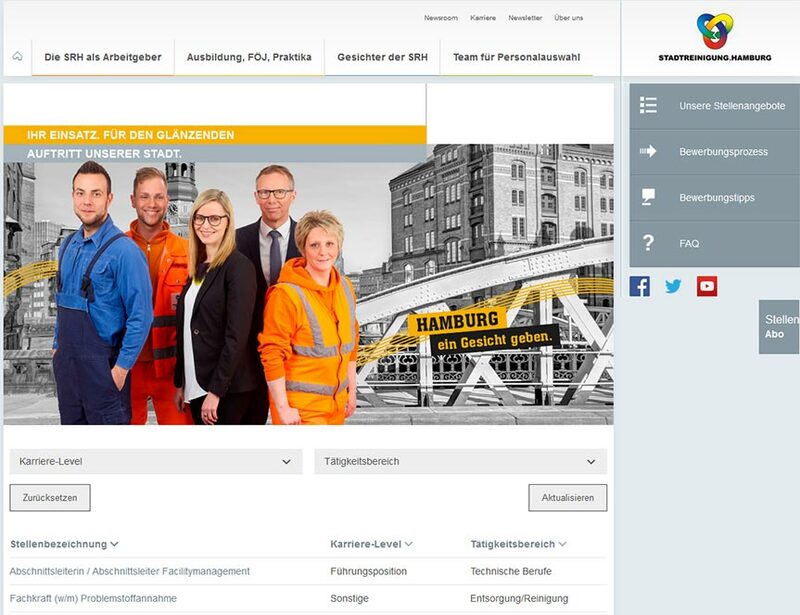 Stadtreinigung Hamburg is not only enthusiastic about the modular structure of rexx Recruitment. Also the rexx systems project management convinced.